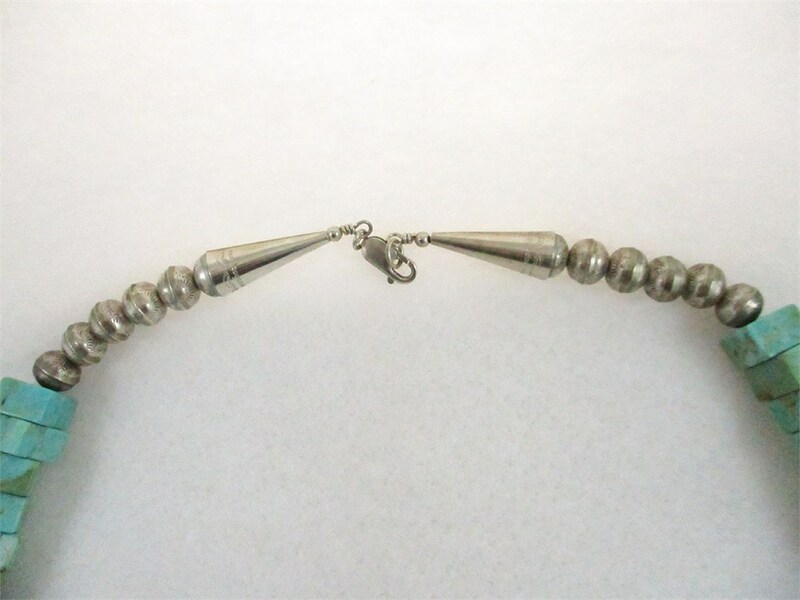 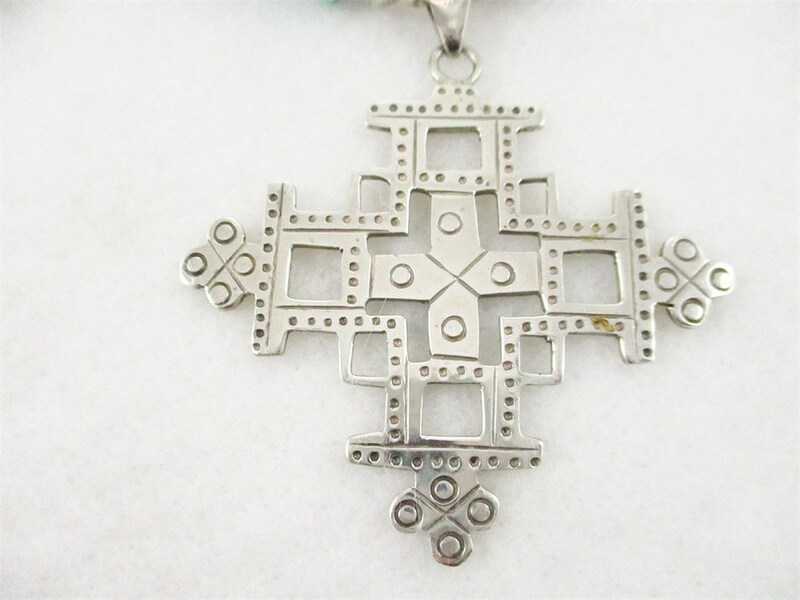 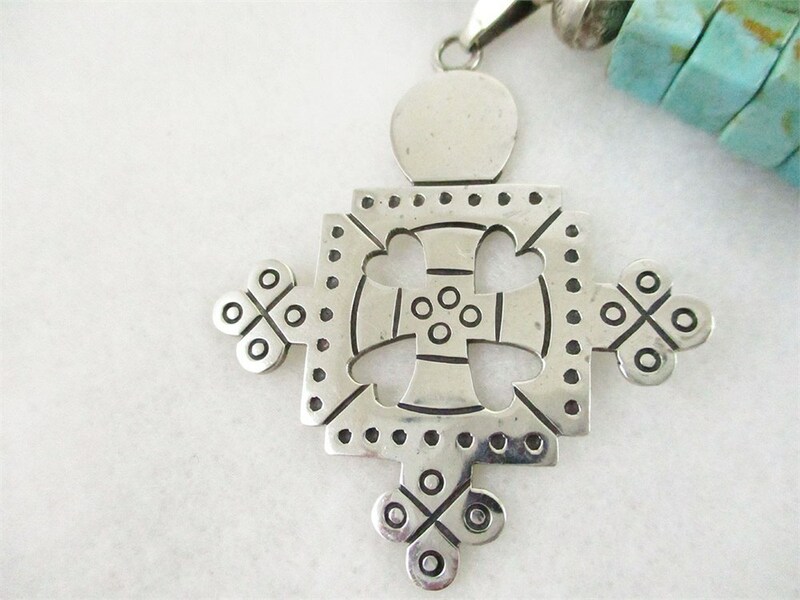 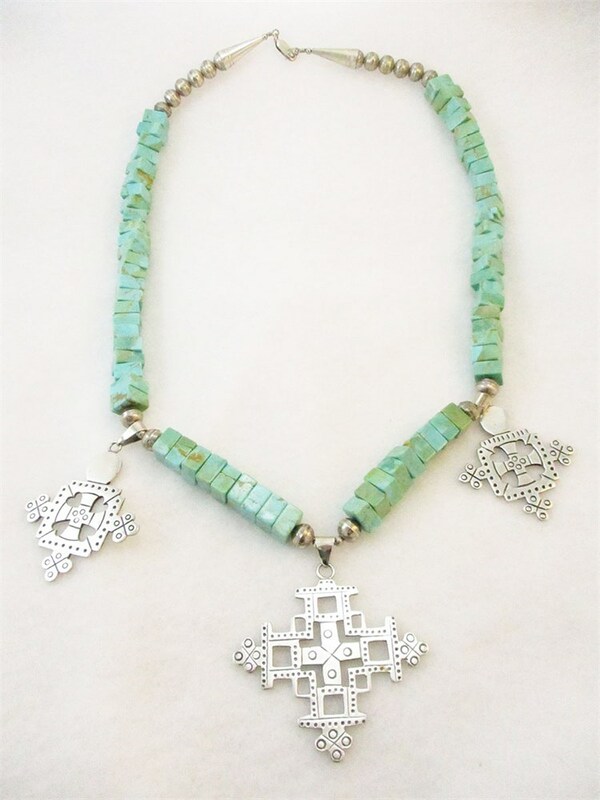 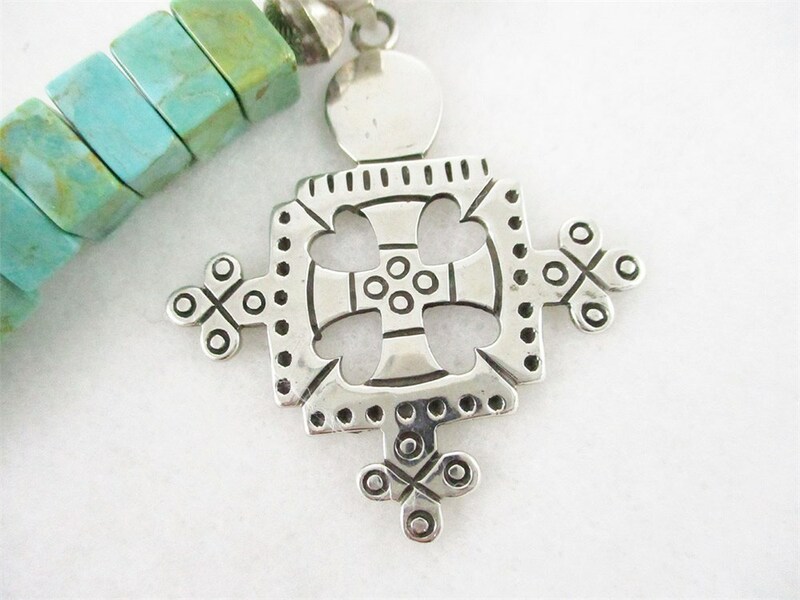 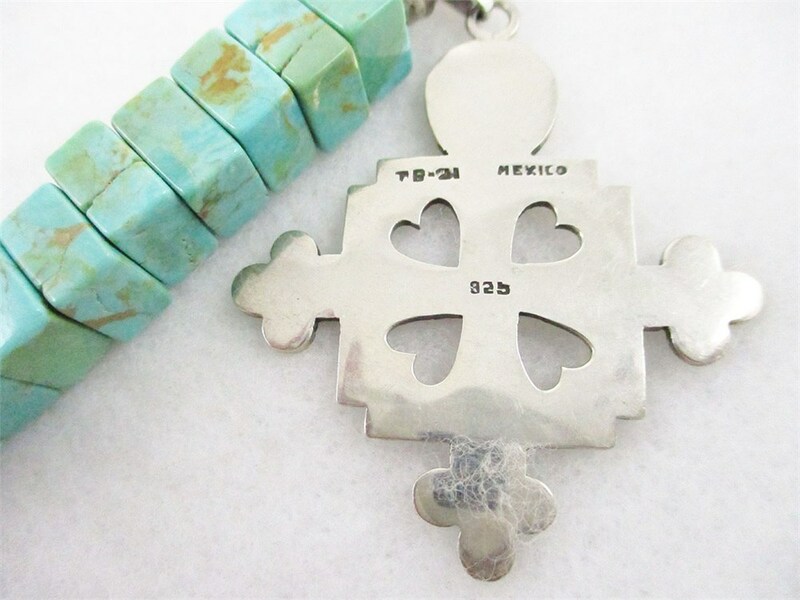 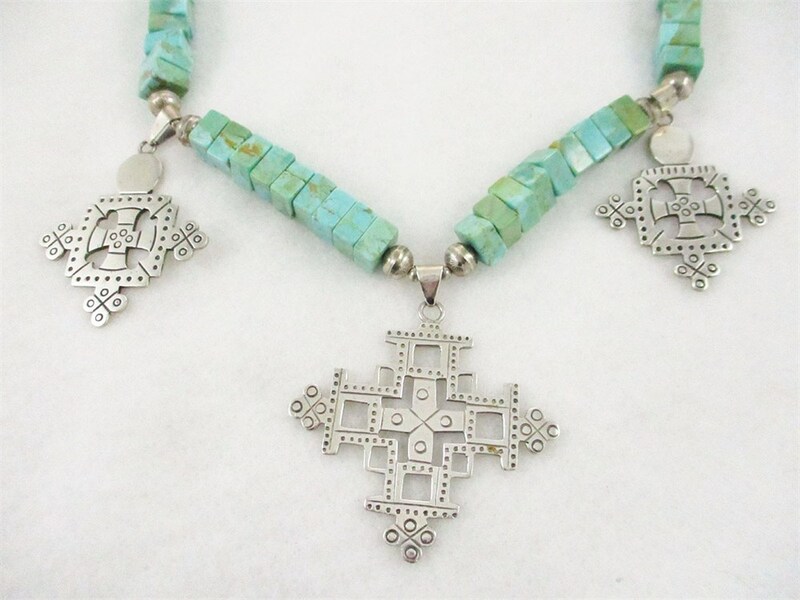 This 27" necklace was made in Mexico and has three sterling silver crosses on a necklace of square turquoise beads. 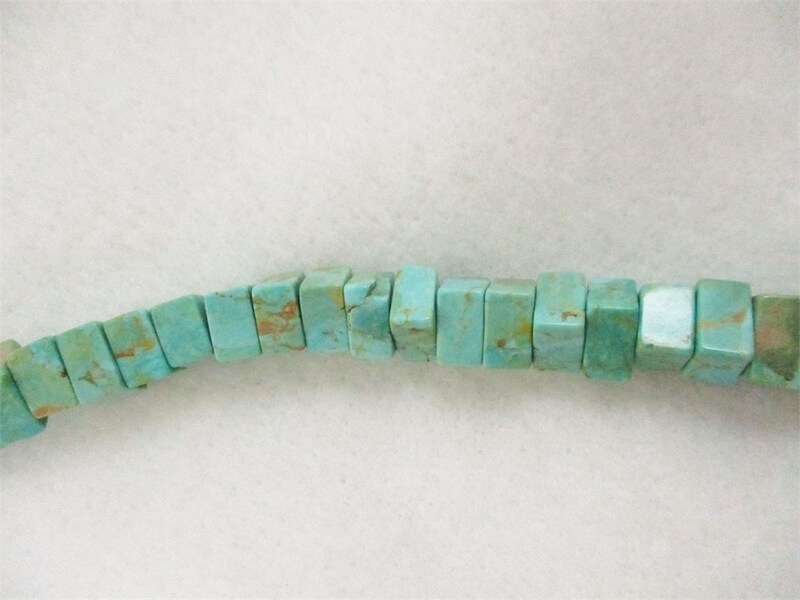 Approximate total weight is 172g. It has been valued at over $200. 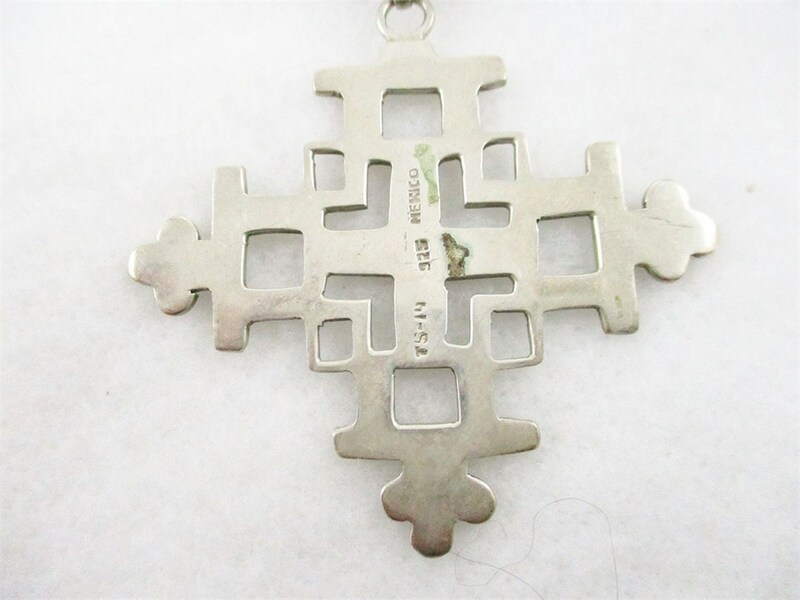 Approximate cross dimensions: Left and right - 2" x 1-7/8"; Center - 2-1/2" x 2-1/8"